Google Voice is an amazing app for cheap international call, texting and/or leaving voice mail. And you don’t need to be an Android user to use this feature. If you have an iPhone or an iPad, setting it up and using the service is relatively easy. You can sign up for a Google number through the app. Follow the steps below to install and use Google Voice on iPhone or iPad. 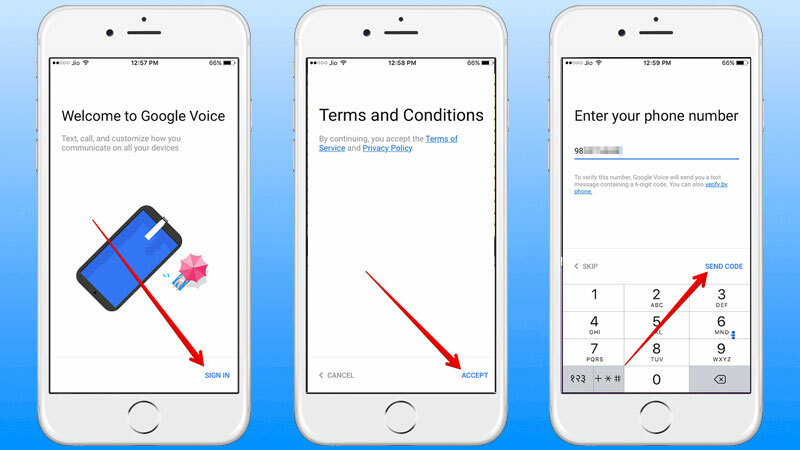 Following you will find guide how to setup and signup use Google Voice on iPhone, iPad or iPod Touch. 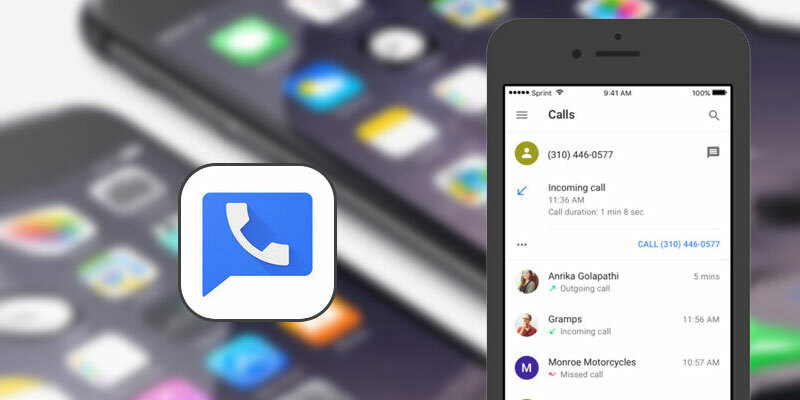 How to Setup Google Voice on iPhone or iPad . Download the Google Voice app for your iOS device from the App store. Launch the app and tap on the ‘Sign in” icon on the bottom. You need to have a Google account in order to sign in. Now, in order to select the Google voice number. Tap the search icon and choose the city of your origin then tap on select for the number you want desire. Next, enter the phone number you’re currently using in order to send and receive calls. Google will give send you a message which includes the code that will verify your phone by entering it. Google Voice has a pretty user friendly design, you have four tabs to use in the bottom. For message, just tap on the chat bubble icon and then tap the ‘+’ icon to start having new and pre-existing conversation. For calling, tap the telephone icon and again tap the ‘+’ icon to select a contact. Once the contact has been selected just tap on it to start communicating with him. You also have the option to leave a voicemail. 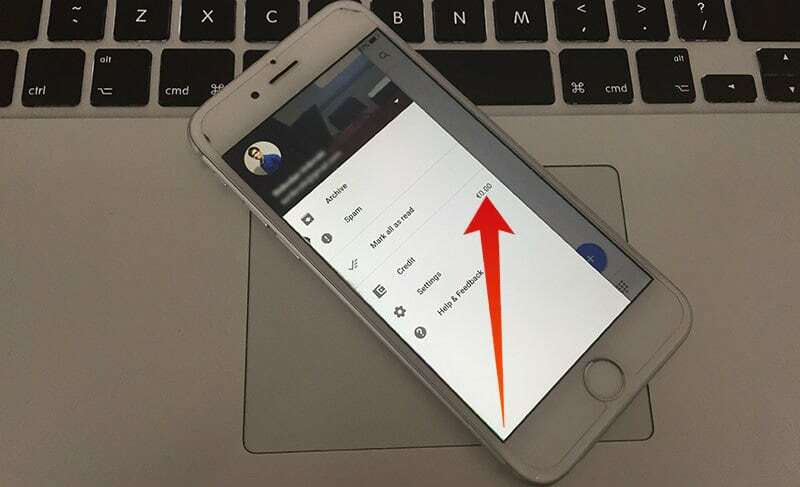 Another feature is that you can access all your message transcript, just tap the voicemail icon, and read the all pre-existing message granted you haven’t deleted them. Here, you can also listen to you voicemail. Launch the Google Voice app. Top right corner, tap the menu icon. Now you can see balance next to the Credit. Launch Google Voice -> tap more icon on the top right and select settings. Choose the Google account in order to pay, you will receive a receipt in your inbox. Note: Call rate will vary according to country. After a call if it’s charged you will receive a message on how much the call has been charged. There is a customizability feature in the app as well. For example, you can forward message and calls to a link number, filter calls, messages and voicemail. To access the configuration just tap on the menu icon and select settings, and customize it as much as your heart contends.